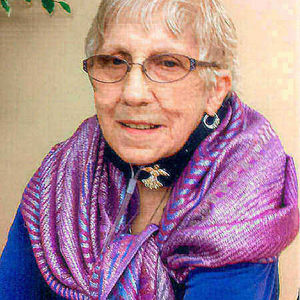 Jeanette M. "Janet" Gebro, 73, Breckenridge, MN, passed away Friday, March 22, 2013 at Essentia Health, Fargo, ND. A Memorial Funeral Service will be Wednesday, March 27 at 1:30 PM at Willow Creek Chapel, Wahpeton, ND. with Rev. John Andrews officiating. There will be visitation with the family one hour before the service. Interment will be at Fairview Memorial Gardens, Wahpeton, at a later date. Vertin-Munson Funeral Home, Wahpeton are in charge of the arrangements. Janet was born July 19, 1939 in Beardsley, MN, the daughter of Alfred and Evelyn (Ness) Herberg. She lived in Beardsley until moving with her family to White Rock, SD in 1945, where she attended school. She worked as a waitress. She married Merle Gebro in Wahpeton, where they raised their family. During this time she worked for a time at the Daily News and helped at day care centers. After Merle's stroke, she moved to Fargo, ND, in 2000. She moved to Breckenridge, MN in 2011 to live with her daughter. Janet enjoyed spending time with her friends visiting at the Fry'n Pan Restaurant and going to rummage sales. She was a dedicated care giver to her many family members. She was considered the "family glue" to her children, grandchildren, and great grandchildren, in which she took great pride and care of. Janet is survived by her husband, Merle Gebro, Breckenridge, MN; her five children: Terri (Brett) Benedict, Moorhead, MN; Cindy (Wayne) Emly, Fairview, MT; Kevin Gebro, Albuquerque, NM; Dawn (Robin) Reese, Breckenridge; Shawn (Jen) Gebro, Fargo, ND; 14 grandchildren, 7 great-grandchildren, nine brothers and sisters: Annemarie (Jim) Lewis, Fergus Falls, MN: Roger (Val) Herberg, Sioux, Falls, SD; Jerry (Jeannie) Hills, Wahpeton; Richard (Kathy) Hills, Wahpeton; Sharon (Bill) Sanford, Sacramento, CA; Earl (Carol) Hills, Newell, SD; Marvin (Bev) Hills, Rockport, IN; Lois (Herman) Eaves, Rockport, IN; Darlene (Mark) Eaves, Hermiston, OR. She was preceded in death by her parents, Alfred and Evelyn, her step-father, Herman Hills, an infant son, Lonnie, and two sisters, Alvera and Barbara. Willow Creek Chapel, 920 3rd Ave North, Wahpeton, ND 58075 Funeral Service for Janet Marie Gebro https://www.tributes.com/obituary/show/Janet-Marie-Gebro-95486274#services https://www.tributes.com/obituary/get_ics/95486274?service=2607265&tr= Visitation with family from 12:30-1:30 P.M.
Visitation with family from 12:30-1:30 P.M.
Jan was a good friend. I had not seen her for years but she was there for me when Rick died. She is fondly remembered. My sympathy to her family. I met Jan through the Fry'n Pan Gang. We had a common bond in that we both did some shopping via QVC. I will miss visiting with her over coffee when I am able to join the group, but I know she will always be with us when we gather via our fond memories.